I just want to let everyone know that the All OCEAN YACHTS TEAM and I will be attending the MIAMI BOAT SHOW again this year, I think this is my 22nd year at the Miami show! This year I will be visiting with clients and brokers and speaking to them about the diverse line of Explorer Yachts that ALL OCEAN YACHTS now represent. 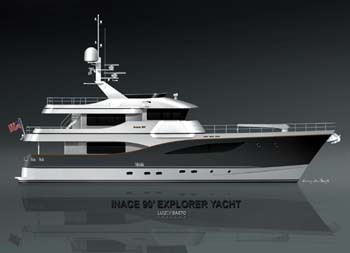 We have been working with the INACE SHIPYARD for over 22 years and have their full range of Explorer Yachts from 90' to 135' and above that we work with and of course INACE SHIPYARD can handle custom projects up to 280'. 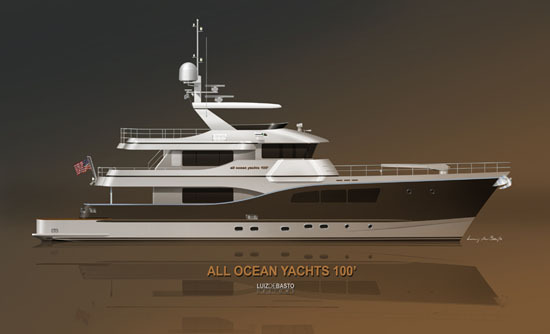 Last year we finalized the design and build agreements on the ALL OCEAN YACHTS line of Explorer Yachts for the All Ocean Yachts 90' and 100' models. These highly innovative designs can be built in either steel and aluminum or in fiberglass. We have agreements set up in a number of different yards around the world. The glass versions will be built at TRICON SHIPYARD in China. TRICON has won a number of major awards this year for their quality of construction, engineering and design. The steel versions can be built in Brazil, USA, Turkey or New Zealand. I look forward to discussing with you which model, material and yard is best suited for you. The ALL OCEAN YACHTS TEAM also looks forward to showing you the long range yachts and Explorers that are available at the Miami show and discussing with you other Explorer Yachts for Sale available worldwide. Contact us for a list of the best Expedition yachts and long range yachts at the show and in the area. Please Contact Us to get together and let us assist you in find your ultimate Explorer Yacht.